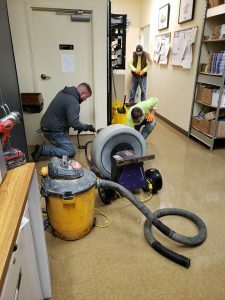 Our facility maintenance services are offered to anyone and everyone but are typically rendered to commercial clientele. 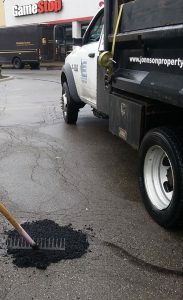 These services usually involve washing storefronts, buildings and dumpsters or compactors. 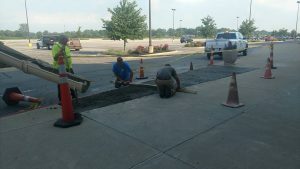 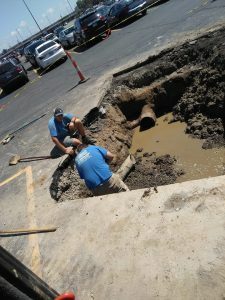 It may be repairs of sidewalks and parking lots by patching potholes or patching/sealing concrete. 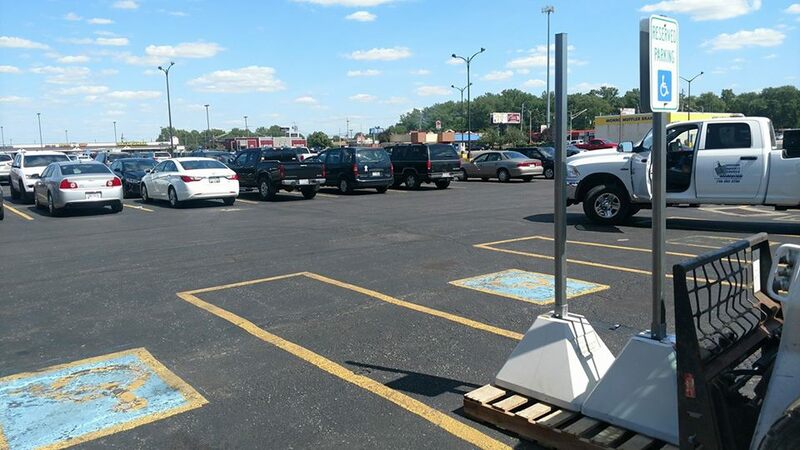 We also paint curbs, handicap ramps and seal-coat and stripe parking lots. 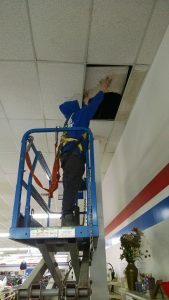 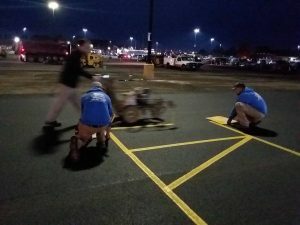 We can even change bulbs in parking lot lights and canopy lamps. 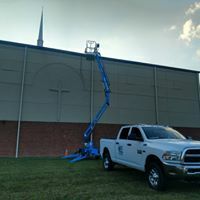 Whatever or wherever it may be on the outside of a commercial structure or property, chances are we can take care it it for you.